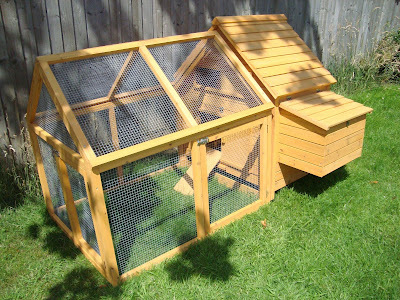 This is the new hen house. Posselq built it on Saturday. As with all flat pack items the instructions were poor and we were left with a funny little fastener that we didn't know what to do with. Eventually we worked it out - and there wasn't that much wailing and gnashing of teeth. The entire build took about an hour and a half and he was ably assisted by moi. That in itself is enough to turn any grown man into a raging steaming neanderthal version of himself - but Posselq coped admirably with my comments and helpful suggestions. Now all we need are some chickens to put in there!!! Posselq? - A demi-god? I don't think so.